I look at you as a whole being and will teach to your mental, emotional, thinking, physical and soulful self all at the same time. I call this your energy body. I also offer personalized Ageless Movement Practices for specific challenges on Skype, FaceTime or Zoom. YOU. To love your life, feel good and participate in every moment. Be fully alive and make yourself a priority. Walk out the door every day with confidence. Accept all aspects of life, even the challenges, as you grow into a better version of yourself. 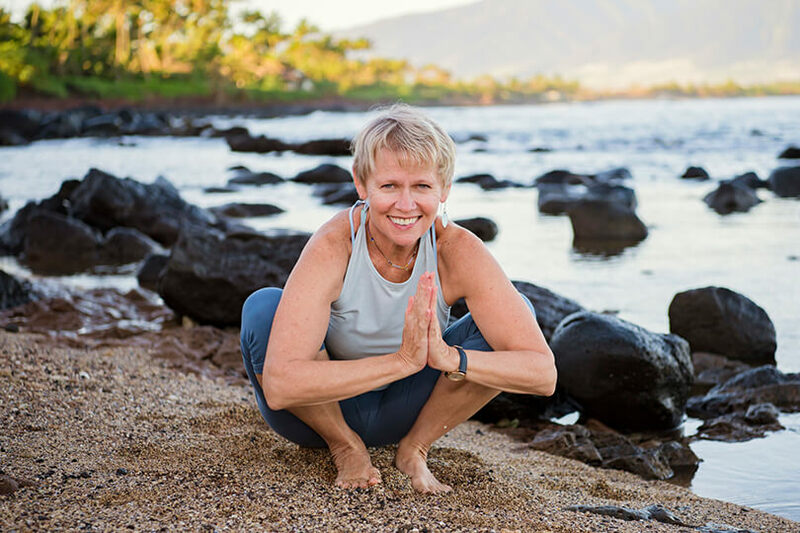 This is your chance to work with an International Association Of Yoga Therapists, IAYT certified yoga therapist who’s been guiding students and clients to whole body healing for three decades. I’ve successfully owned three yoga therapy studios, a yoga therapy retreat center, and a yoga therapy teacher training school. I'm also the author of four yoga therapy books and manuals. My own experience overcoming chronic lower back pain sent me on the journey to create these practices. My students and clients inspired me to bring the Ageless Movement Practices to a wider audience. As they participated in my practices they had more energy than ever before, became more active, straightened out their posture, and even went off of medications they'd been on for years. They also stopped experiencing pain and in turn began to positively influenced the people around them. I’m solely offering my unique movement practices online to allow more people to experience a pain free, vibrant, love filled, ageless life. Press the Start Your Practice tab. You'll be guided to put in your information, create a password and you’re in! You’ll receive a new Ageless Movement Practice every week. I recommend that you do these practices daily or at least 2-3 times a week to create your pain free, vibrant life! Join the Ageless Movement Practices Facebook page to hear all the amazing stories from the other Ageless members. To book a personal session, press the Schedule Your Session tab. Work through any issue by receiving guidance from your body’s wisdom using Michelle as the interpreter. Go away with your own unique practice to overcome your challenge.